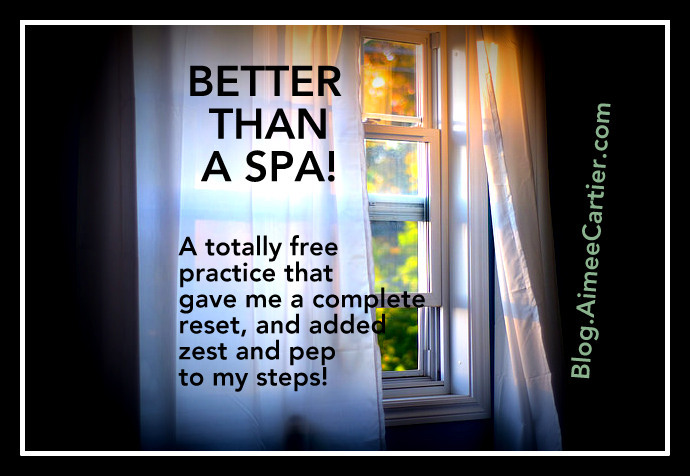 Totally free and better than a spa!? Last night it was. I had this amazing experience last night. My mind wandered, but it didn’t try to actually accomplish anything. And furthermore it did not have access to any of the aforementioned (or other) tasks I usually give it to do, so it too relaxed. Laying there in my bed, completely horizontal, pjs on, without any of my usual pursuits in front of me was the most relaxing and rejuvenating experience. 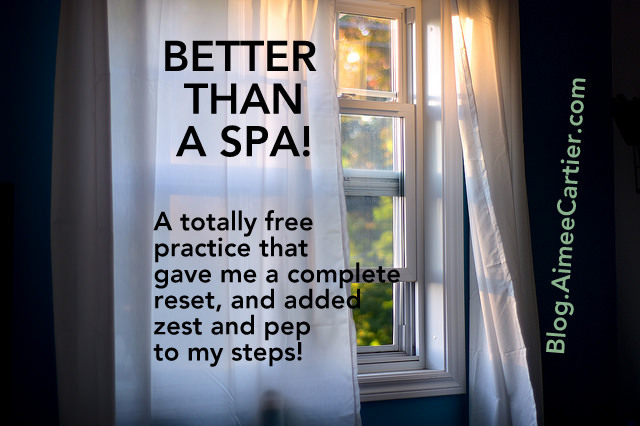 It was kind of like going to a spa. Only dare I say, better? Last night it was. Because truly that is just what my body needed– an extended horizontal period where I wasn’t actually doing anything. My thoughts meandered. My husband joined me for a while and we chatted. He showed me a stupid video that totally made me laugh. 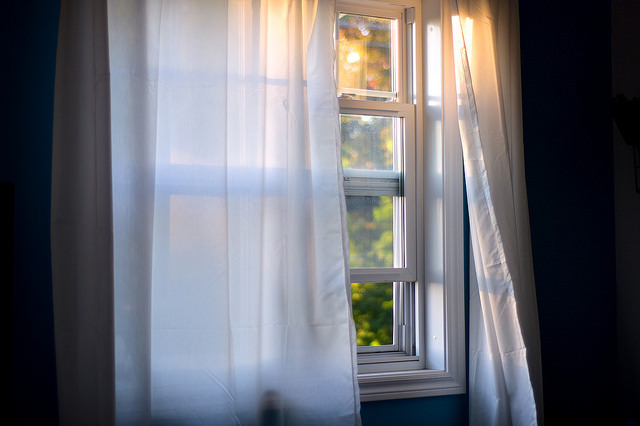 But mostly I just lay there in my nightgown, feeling the light and breeze mingle together wafting through our bedroom windows and over my skin, and did nothing. It was a complete and total reset. I’m always aware of how going to bed early sets me to right in ways that are sublime, practical, and gratifying beyond words, but this experience took it to a whole new level. Perhaps you need a day on a party raft in the Puget Sound with good friends celebrating your husband’s birthday and not actually drinking enough liquid to get you there– I don’t know. But sun drenched exhaustion did help me arrive at this sublime experience. There was nothing else I wanted to be doing, other than laying in my comfy bed eyes open or closed, in repose. Stress-relief magic in a cup? Yes please. 10 Mindful Minutes for your kids and for yourself. A book that breaks down mindful, happy brain making practices into simple and easy to use formulas.